Wine Country Movie updates Friendship is a trip. added the tagline: "Friendship is a trip. " 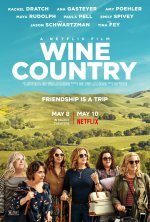 In honor of Rebecca's (Rachel Dratch) 50th birthday, Abby (Amy Poehler) plans a scenic Napa getaway with their best, longtime friends. 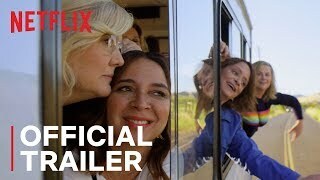 Workaholic Catherine (Ana Gasteyer), post-op Val (Paula Pell), homebody Jenny (Emily Spivey), and weary mom Naomi (... show all Maya Rudolph) are equally sold on the chance to relax and reconnect. Yet as the alcohol flows, real world uncertainties intrude on the punchlines and gossip, and the women begin questioning their friendships and futures. A group of friends road trip to Napa to celebrate a 50th birthday.